Ah November, the month that keeps on giving! It has been announced that Lancôme will launch a limited edition Christmas Makeup range, inspired by the poetry and the colours of a secret Parisian garden, hidden behind the Maison Lancôme’s golden doorways. Available online and in stores this November, this collection will include treats for the eyes and nails! 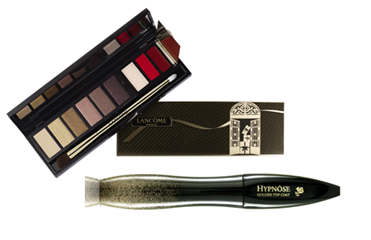 Look out for the new Hypnôse Stardust at £22.50, a light, transparent formula to place on top of black mascara, enriched with gold sparkles, the L’Absolu Palette at £42, a winter palette with six eyeshadow colours and three lip colours and Vernis in Love at £13 – three new nail colours and a golden sparkle top coat.